RESOlution instruments are powered by a high-end PC running Windows 7. During normal use the PC is housed inside the instrument, though it can be easily removed for maintenance or inspection. While the PC supplied at the time of installation will be quite powerful, computers are continually improving and can become obsolete every three to five years. 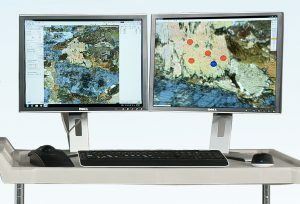 To assist with this, ASI provides complete support for users wishing to upgrade or replace their PCs over the lifetime of their RESOlution instrument. The PC is equipped with dual high-resolution monitors, though the arrangement is flexible and alternative layouts, such as using a single widescreen monitor, can be easily supported. The monitors can be placed up to seven metres from the instrument along with the keyboard, mouse and trackball for controlling the stage. 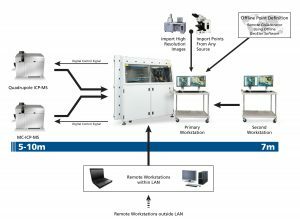 This workstation can also be duplicated, allowing convenient operation of the instrument from a second location, such as an adjacent laboratory housing an alternative ICP-MS. Many laboratory users may choose to keep their RESOlution instrument away from the local network. However, after taking appropriate security measures, networking the PC will allow for convenient access to sample data as well as the internet. The GeoStar software is 100-percent compatible with remote desktop software, including both VNC and Windows Remote Desktop. Over a high-speed local network, the software allows for seamless remote control from anywhere in the building. 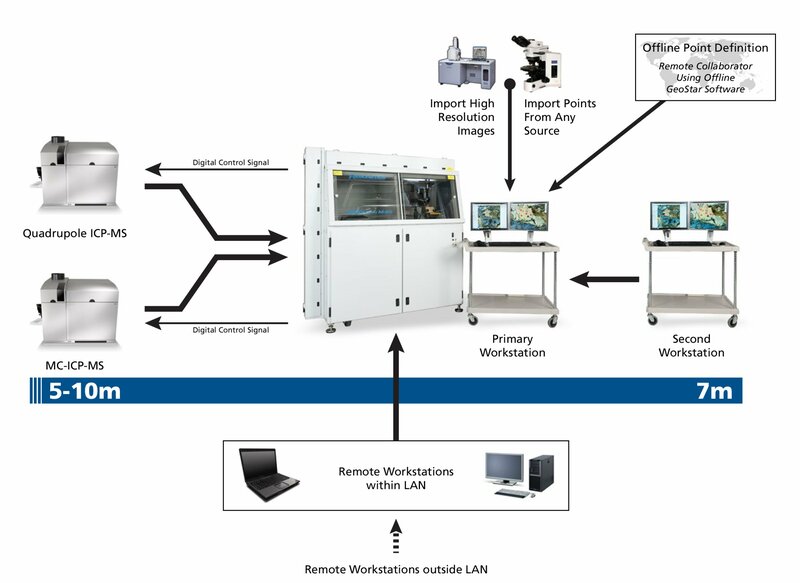 With an appropriate network configuration it is also possible to access the instrument from offsite to monitor progress or allow access for remote collaborators.